Note: Otherwise set to expire at the end of 2017, the 2017 budget proposes to extend the British Columbia training tax credit to the end of 2020. The basic credit for the first two levels of B.C. recognized non-Red Seal training programs, or if you passed a challenge exam and received a Certificate of Qualification for a program which qualifies for level 1 or level 2. You can’t claim this credit for a Red Seal program. The completion credit for a level 3 or 4 Red Seal program, or a level 3 or higher non-Red Seal training program, or if you passed a challenge exam and received a Certificate of Qualification for a program which qualifies for level 3, 4, or 5. The enhanced credit if you’re eligible for the federal disability amount or you’re a First Nations individual, and you either claimed the basic or completion credit, or received the federal apprenticeship grant this year. For every level you complete, you can claim a certain amount. If you complete more than one level during the year, you can claim the amounts for each of those levels. Note: Once you complete a level, you’ll have no later than 36 months after the year ends to claim your credit. How do I determine my tax credit level? Work-based hours – if your program requires you to meet a certain number of work-based hours, you’ll need to have completed these hours to claim the tax credit. Keep in mind, your transcript must show that you completed the required number of hours. Specific technical training level – if your program requires you to complete a specific technical training level, you’ll need to have completed it to claim the tax credit. Your transcript must show the technical training level you completed. Graduate from a program – You must have received a Certificate of Qualification, Certificate of Qualification with an Inter-provincial Red Seal Endorsement, or a Certificate of Apprenticeship to claim the final level of your program. Note: If your program was outside the Canadian apprenticeship system, you can apply to the ITA to be assessed as a challenger to receive trade certification. If you’re successful in challenging a Red Seal or Non-Red Seal program, you might be able to claim the B.C. training tax credit. Refer to the British Columbia government website for more information on challenging a program. 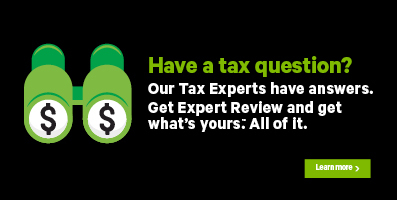 Before you begin, make sure that you told us that you lived in British Columbia on December 31, 2017, in H&R Block’s tax software. You'll also need to enter your T4 slip under the QUICK SLIP icon of the QUICK ENTRY tab. Under the CREDITS AND REBATES heading, click the checkbox labelled British Columbia training tax credit for individuals (T1014). When you arrive at the page for your British Columbia training tax credit for individuals, enter your information into the tax software.